Introducing Ever Pure Blonde, our first sulfate-free brass banisher system for blonde colored hair. Formulated with Iris botanicals, our system neutralizes unwanted brassy tones while hydrating over-processed hair. For fresh, pure, long-lasting blonde. System of shampoo, conditioner and treatment. 100% Vegan - Formula not tested on animals, no animal by products. 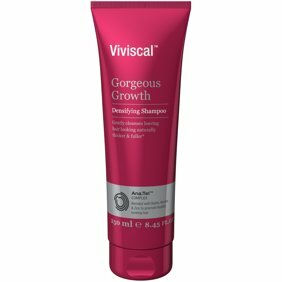 Ingredients: Aqua/Water/Eau, Sodium Cocoyl Isethionate, Disodium Laureth Sulfosuccinate, Sodium Lauryl Sulfoacetate, Sodium Lauroyl Sarcosinate, Cocamidopropyl Betaine, /Glycol Distearate, Glycereth-26, Decyl Glucoside, Parfum/Fragrance, Hydrogenated Coconut Acid, PPG-Ceteth-20, Divinyldimethicone/Dimethicone, Copolymer, Polyquaternium-7, Amodimethicone, Polyquaternium-10, Sodium Isethionate, Propylene Glycol, PEG-55 Propylene Glycol Oleate, Carbomer, C11-15 Pareth-7, Benzoic Acid, Benzophenone-4, Ethylhexyl Methoxycinnamate, Benzyl Salicylate, Laureth-9, Glycerin, Hexylcinnamal, Benzyl Alcohol, Linalool, Trideceth-12, Limonene, Sodium Benzoate, C12-13 Pareth-23, C12-13 Pareth-3, Iris Florentina/Iris Florentina Root Extract, Calendula Officinalis Flower Extract, Methylchloroisothiazolinone, CI 60730/Ext. Violet 2, Methylisothiazolinone, CI 17200/Red 33, Sodium Hydroxide, Citric Acid. Smells AMAZING and works like it should! I have used purple matrix shampoo for a few years. This product works like the purple shampoo, but not as strong. I love how this product does not strip the moisture from my hair. I love this product .